Umbra's Spindle Jewelry Box keeps the most valuable accessories safe and clear. The box has three drawers which are connected to each other at a pivot point. From there, each drawer can be opened individually and filled with jewellery, memories or other small items. Each drawer is lined with a fabric lining so that the jewellery is not damaged or slipped. The floor is also covered with fabric so that furniture is not scratched. The Spindle jewelry box designed by Tom Vincent is made of high-gloss lacquered MDF and therefore looks particularly noble. On the sideboard in the bedroom, the shelf in the bathroom or the desk in the office, the jewellery box preserves little treasures and also sets stylish accents. Spindle jewel case in white from Umbra in single view. Umbra's Spindle Jewelry Box keeps the most valuable accessories safe and clear. 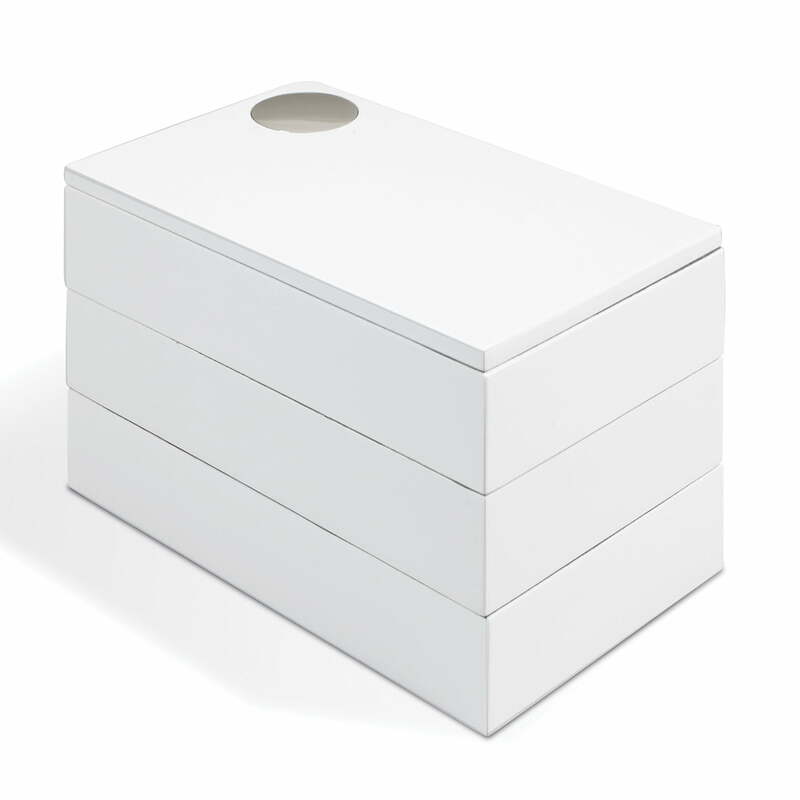 The box has three drawers which are connected to each other at a pivot point. From there, each drawer can be opened individually.